We use Hida beef in all our beef dishes. 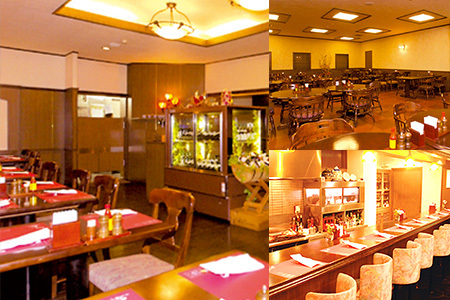 Kitchen Hida has a 50 year history as a restaurant specializing in Hida Beef dishes. Enjoy our recommended special Hida Beef dishes in a relaxing atmosphere. The deciding factor of good dishes is the heart of the person who cooks them.In order to produce every ingredient used in our restaurant, including Hida Beef and the Hida specialty red turnip, farmers devote an immeasurable amount of time and effort. We try our absolute best to maintain the high level of carefully enhancing their flavors in the dishes we prepare for our customars. About Beef Grades : A,B or C shows the yield grade, and A is the best. The number from 1 to 5 shows the marbling of the beef, and 5 is the best. 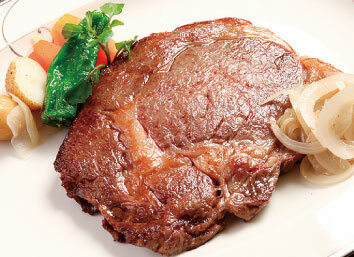 In order to maintain quality,Gifu Prefecture only allows A5 and A4, A3 grade beef to be designated"Hida Beef". Enjoy a special time in a spacious restaurant.We can accommodate up to 26 people. We have two "Party Rooms": one for 40 people and the other for 12 people.These rooms are available for parties or conterences. Please check the calendar before your visit. Parking is a big bus "Shinmei Car Park" "Betsuin Temple Park" please use these. 1F / 26 people , 2F / The second floor has a big room seats 50 people and the small room seats 12 people. 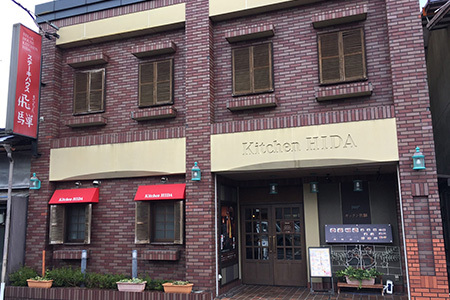 How did you know about "Kitchen HIDA"? Copyright(C) KITCHEN HIDA All Right Reserved.